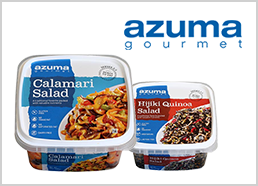 Careers | Azuma Foods International Inc., U.S.A.
Azuma Foods International Inc., USA seeks talented individuals who are interested in making a difference in the manufacturing of fresh, natural and innovative seafood products. AFI offers a competitive salary, product discounts, medical, dental and 401(k) benefits. If you are interested in making a difference in a growing, international company, please apply for one of our available positions listed below. We will give it our immediate attention.